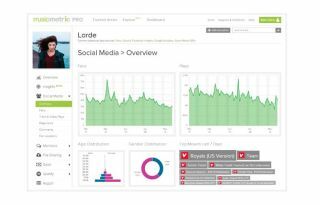 iTunes streaming: Apple acquires music analytics service Musicmetric | What Hi-Fi? With Apple reportedly planning to relaunch the Beats Music streaming service under the iTunes brand later this year, the Cupertino tech giant has stepped up preparations with the purchase of analytics service Musicmetric. According to the Guardian, the Cupertino tech giant has now bought Semetric – the British start-up behind Musicmetric, which tracks digital music sales, streams and social stats for labels and other music industry organisations. Companies House now lists Semetric's registered address as 100 New Bridge Street in London, which is the office of law company Baker and McKenzie. It's also the registered address of Apple Europe Limited here in the UK. In a statement quoted by the newspaper, a spokesperson for Apple wasn't giving too much away about the deal: "Apple buys smaller technology companies from time to time, and we generally do not discuss our purpose or plan." Despite the apparent unwillingness to discuss the acquisition of Musicmetric, it does fit in with plans to bring Beats Music into the iTunes family as Apple looks to play catch-up in the music streaming market and services like Spotify. It's still unclear when the new service might make a debut – if at all – but previous reports claimed that all eyes are on March 2015 and an iOS software update that could bring Beats Music/iTunes streaming automatically to every iPad and iPhone.